Hello everyone! Welcome back to SixPrizes, and another one of my articles. Lost Thunder has been released and testing for Brazil has begun, the Standard format has improved a lot! While Expanded is definitely still my preferred format, albeit with some bias, I no longer feel like the Standard format is borderline unplayable. The decks interact better with each other, the decks feel more fun to play overall, and the new set has allowed for a bit more of an intricate format. All of my testing has led me to continue working on Psychic Malamar and Zoroark-GX/Lycanroc-GX, along with putting some time into the new powerhouse in Blacephalon-GX/Naganadel. While this news is not particularly exciting, the new format as a whole does offer more variety than in recent history. I definitely plan to play as much as possible before Brazil rolls around, with the goal of surpassing my recent eight hour days in mind. With that being said, today I will be talking about my top three picks at the current moment. They aren’t in any particular order, and the meta will play apart in deciding what the best deck choice is. Anyways, without further ado, lets kick things off with some Lost Thunder talk. With the release of Lost Thunder, a lot of consistency was brought to the table. Blacephalon-GX/Naganadel is a very consistent archetype that was born completely out of the new set. Additionally, consistent decks like Zoroark-GX/Lycanroc-GX and Psychic Malamar are top contenders in the new format. 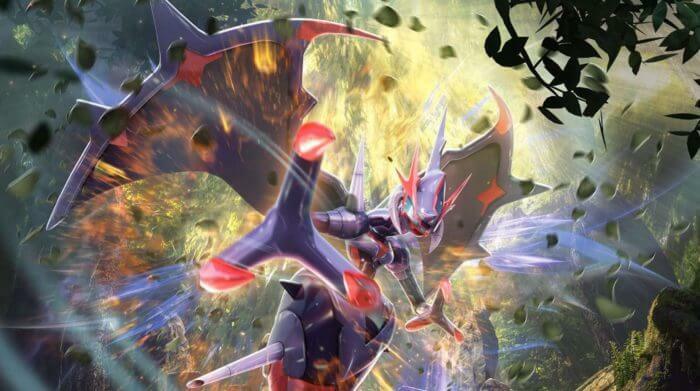 Decks that were deemed to be a bit more inconsistent, such as Rayquaza-GX/Vikavolt, have started to be phased out of the meta. This makes playing the game a whole lot more enjoyable because both players are actually getting to play a whole lot more often. In conjunction with that, the games also feel more rewarding. Due to the increased consistency options available, games where one player simply runs over the other due to a good start are not as frequent. In terms of cards out of Lost Thunder that provide consistency, Professor Elm’s Lecture and Ditto ♢ lead the pack. While these cards are not like Lillie, which can be slapped into pretty much anything, they do a very good job of helping the decks they can. Sadly, comeback potential is still pretty minimal. Decks that get ahead simply aim to stay ahead and win the prize race. However, I will say that I think falling behind to the point where you need to mount some sort of comeback is pretty uncommon. As stated in my last section, decks have become more consistent and reliable, which allows for less blowouts. Games feel a lot closer and back and forth than in the previous meta, which I have been very happy with. I know I can lose by having a bad start, but I no longer feel like my games are completely draw dependent. To discuss the minimal disruption options we do have, we are mostly looking at Marshadow SLG and Judge. These are not great for trying to stop the opponent from finding that game winning Guzma, but they are pretty solid for slowing down the early turns of the game. Cards like Faba and Morty have potential to help this cause in the future, but they just aren’t very strong in the meta right now. Morty is an awesome card that I hope sees play one day, but I just can’t get it to work as of now. Lost Thunder has definitely brought tough times upon this deck. It had bad matchups in the previous format, mainly Psychic Malamar, which have carried over into the new format. In terms of new threats, Granbull and Lost March are decks that present some problems for our dragon friend. Granbull being a non-GX Pokémon that OHKOs everything in Vikavolt makes it a huge issue. Sure, you can use non-gx Pokémon such as Dhelmise to trade KOs, but they will be able to do that more consistently than you. Additionally, cards like Bodybuilding Dumbells can make it awkward to KO Granbull with a non-GX. Lost March wins in a similar fashion, by just being a very fast non-GX deck that can start taking knockouts pretty fast. In terms of good matchups, this deck should be pretty strong against other GX focused decks. Including Choice Band in the list will allow this deck to have a close Blacephalon-GX matchup because you can use Vikavolt to KO Blacephalon-GX at some point during the prize trade. This will help to make up for being a stage two deck that might be slightly slower, the deficit that their GX attack can create, and the Naganadel option they have when at three prizes. Sudowoodo is another tech I would recommend in this deck because it is a strong card against Blacephalon-GX, Malamar, and Zoroark-GX. While this likely won’t be enough to save your Malamar matchup, it should help make the closer matchups feel a bit easier. Finally, the Malamar matchup. The issue here is definitely Chimecho, which can slow you down until they get to dominate the prize race. This deck always finds itself going in and out of the meta, capitalizing on decks that are not prepared. The deck is at a weird spot right now because of how broad the meta is, it makes it hard to tech for everything. Machoke is strong against some stuff, but useless against others. When the meta is defined, you can add and remove things based on what you expect to play against. The deck feels very strong overall currently, taking 50-50 or better matchups against most decks. The exception being Buzzroc, which is somewhat rough. With Naganadel in the deck, that does help your case a little bit, and you can play other techs for the matchup. This deck will probably not be popular in Brazil, but I expect it to start gaining popularity at Roanoke Regionals. Very powerful deck, pretty consistent too. The deck has great matchups against most decks that revolve around GX Pokémon, you simply take six prizes too quickly. Against single prize decks, things are definitely a bit tougher, but you have a shot against pretty much everything. The Granbull matchup is unfavorable, but they can always just whiff once or twice and then you’re right back in it. Malamar can also be a tough matchup if they get the jump on you, but you have the same opportunity to get the jump on them. The GX attack is something everyone is talking about, and man it is a very strong attack. Being able to just take a prize immediately and potentially accelerate an energy is incredibly strong. Another thing I realized in my testing, and don’t see others talking about, is how good Blacephalon-GX’s “Bursting Burn” attack is. It is great for slowing down the game while you build up energies, and it can really help to setup math for a knockout. Not new, not exciting, not flashy. However, the deck survived the release of Lost Thunder and is still very strong. Chimecho is still doing it’s thing in a lot of matchups, and then you are just so efficient in the prize trade. Moon’s Eclipse-GX is still as dangerous as ever, and it can swing a lot of games in your favor. The deck might struggle against some of the faster one prize decks, such as Lost March, but I will need to test that matchup more to confirm. The deck is fine against the rest of the meta, and it is still insanely consistent. Definitely one of my favorite decks right now. I have not played with this deck much, and I honestly need to get some more games in with the new Night March. It is a very fast deck that just wants to take six prizes right away, nothing else to it. The deck is strong when it gets going and takes the lead, but will struggle to keep up with a slow start or when it gives up the first prize. It is better against GX decks because that gives it more time to setup, due to the fact that you can take two prizes in a turn. Against single prize decks, the deck needs to setup and start attacking right off the jump. You don’t have a way of coming back against decks like Malamar if they just attack with Giratina every turn, so you need to be the one taking the first prize. The deck is definitely strong, but it is pretty reliant on having a strong early game. I honestly considered this deck a meme before the release of Lost Thunder, but it has proven to be a reasonable deck. This is another archetype that came out of the new set. Loved by some, laughed at by others. No matter what you think of Granbull, he is hanging around, at least for now. The deck aims to do a ton of damage with a single prize attacker, but their is a draw back. In order to attack for real damage, your hand needs to have no cards. That’s right, zero. This might sound crazy, and it kinda is, but you have ways of achieving this. You play a ton of cards that you can play no matter what, such as Great Ball, Ultra Ball, Nest Ball. Additionally, the deck plays Diantha to avoid running out of steam, and it can grab cards that can help get your hand to zero. Zebstrika, Oranguru, and Magcargo are the support Pokémon of the deck, and probably the keys to having this deck function. The deck is great when it works, and I have played lists that feel consistent, but the deck always feels like it whiffs at some point. That being said, I can’t label this deck as reliable currently, so I am not the biggest fan of it. However, the deck does have some pretty strong matchups against GX decks, and it trades one for one in the prize trade with other single prize attackers. If you don’t whiff, this deck is a force to be reckoned with! This was my favorite deck last year, but I just haven’t felt the same about it since the rotation happened. It just doesn’t feel as reliable or as strong, and I have just preferred other decks. That being said, the deck definitely impressed me at Memphis Regionals, and I did start testing it a bit after Portland Regionals. While I am still not a fan of the deck, it does have its place in the meta, and it has a shot to win all of it’s games via raw power. The deck feels great against Zoroark decks, taking incredibly positive matchup in that area of things. Most of it’s other matchups are actually pretty close, but I have been beating Buzzwole/Lycanroc-GX with Blacephalon pretty consistently. The Blacephalon deck is just so strong in the prize trade, having Naganadel as a non-GX option and the GX attack to start taking prizes on turn one. Overall, I would say this deck is still fine to play if you are okay with being unfavored against Blacephalon. I personally don’t dislike the deck because of that, I am just fed up with the inconsistencies. I have to start by saying that I tried this deck for a while in the last format because my friends kept hyping it up to me, but I never really liked this deck. It just never felt particularly good to me, and it is a lot less reliable than some of the other decks. An early Guzma KO can be pretty devastating, especially if they are able to keep Magcargo off the board for a few turns. It does have a great Buzzwole-GX/Lycanroc-GX matchup, but pretty much everything else seems even to unfavorable. The non-GX decks have always given this some trouble in my mind, and these one prize decks have become a bit more popular. Granbull, Lost March, and to some extent Malamar are the decks that get lumped into this category. Golisopod just can’t handle these attackers very well because you essentially just give up two prizes for one when trading prizes. Acerola can help to mitigate some of this pressure, but you won’t be able to do this consistently or often enough. Now, for the elephant in the room. Blacephalon-GX/Naganadel simply can not lose to this Golisopod-GX deck without getting a terrible start. KOing Golisopod-GX is easy as pie, and the deck just doesn’t have any other attackers to trade prizes with. I didn’t really mention this deck in any of the other sections because it is a pretty broad spectrum and one version of the deck likely won’t be popular. I wanted to talk about this because the release of Electropower has definitely helped out Tapu Koko quite a bit, and Karl Peters took home a win with Tapu Koko at the Special Event in France this weekend. The tournament was before Lost Thunder’s legality date, so he used cards like Poison Barb and Seviper to increase his damage output and add some oomph to the deck. I have not played against the Poison Barb variant, but I never had any trouble beating spread decks with Malamar or Buzzroc before the release of Lost Thunder. I am surprised to see the deck take down the event because players who limit their bench and play well can usually outplay spread. I have not played a lot with the new spread decks, but the games I have played felt super hit or miss. The deck actually feels pretty inconsistent because of how it needs to be built, but is very strong when it does get to play. The opponent limiting their bench becomes harder because of your increased damage output, so that strategy is definitely less detrimental than before. I’ll need to play some more games to form a better opinion, but generally I try to stay away from spread decks personally. I did play Tapu Koko/Passimian in Memphis, which I highly regret, and it just didn’t flow well with me. Long story short, my opinion on spread is still up in the air but the deck has seen some success recently. This is a deck that was very strong, likely the best deck, in the early stages of the standard format. Eventually decks and players started to adapt to handle this deck, playing things like single prize techs and higher stadium counts. Limiting item usage is another important part of beating this deck, and decks just were not able to do that with the original lists. However, things have definitely changed. Most decks do just fine against this deck nowadays, so I definitely won’t be playing it anytime soon. The deck struggles vs other single prize decks, so Granbull, Psychic Malamar, and Lost March really give it trouble. Additionally, Zoroark-GX decks can include techs for the matchup. I have to say that I think this deck was so strong at first because people were not ready for it, but is just super underwhelming now that they are prepared. These are the cards in Lost Thunder that have proven to be the most influential in my testing so far. While other cards in the set have potential, these are the ones that I see having an immediate effect on the game. This card is not as flexible as Brigette due to the sixty HP limit that Mr. Elm has placed on our adventures, but the deck still provides Zoroark and most stage two decks with a great way to build a strong board state. The card is phenomenal in decks that can use it, acting as a stronger Brigette in most cases since the basics go to your hand. This card feels like it goes hand and hand with Professor Elm’s Lecture. Sure, this Ditto won’t be making its way into most stage two decks, but it does provide some early game consistency in Zoroark and other stage one decks. Additionally, this card will almost always be grabbed by that first Professor Elm’s Lecture each game. Not only does the ditto add a bit of consistency and open up your in game options, it also allows for creativity in deck building. You can play this Ditto and a stage one, without even playing the basic, and surprise the opponent with a spicy tech. I have touched on this card a bit already, so I guess the cat is out of the bag at this point. Tapu Koko is the Pokémon that this Electropower has been helping out the most, allowing the Tapu Koko to manipulate its damage better. Simply doing more damage is the overall goal, letting Tapu Koko finish off opposing threats instead of a secondary attacker. This is definitely the most impactful card to come out of Lost Thunder so far. It definitely got a ton of hype before release, so it isn’t surprising to see the deck be so strong. At the same time, tons of other cards were hyped up, some of which I haven’t found to be very useful currently. This is the main attacker of the Blacephalon-GX/Naganadel deck, one of my favorites currently, and you’ll learn all about this later in the article. This card is oddly flexible! I thought of it as just a Blacephalon-GX partner at first, which it is totally is, but the card offers so much more than that. Since Naganadel only accelerates to itself, it is a weird form of energy acceleration. That being said, cards like Multi Switch and Energy Switch have very good synergy with Naganadel. 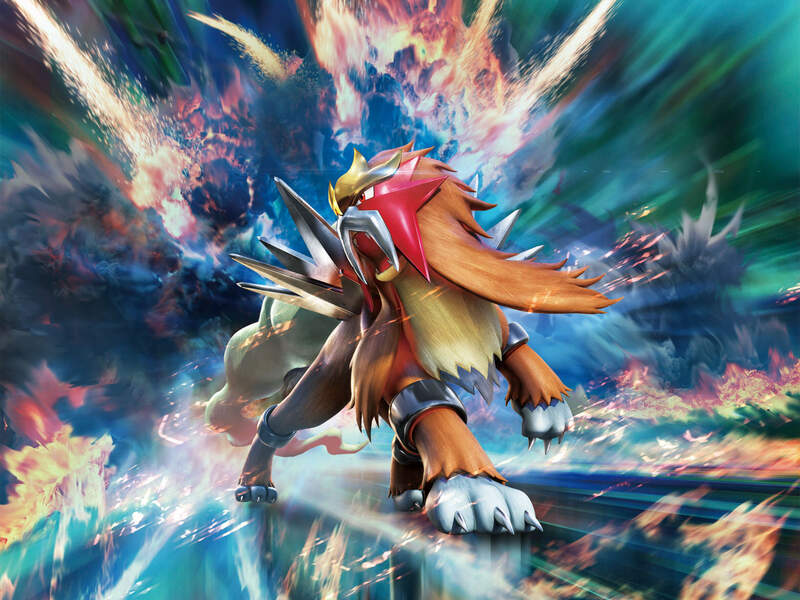 Naganadel has become one of my favorite inclusions in Zoroark because it allows you to setup a Lycanroc out of no where with Multi Switch. Additionally, Naganadel isn’t a bad single prize attacker, and it hits very hard when you have three prizes left. An absolutely insane card. Seriously, such a strong card in decks that can use it. The only issue is that you don’t have any way of searching it out, so it is somewhat luck based in that sense. However, you definitely don’t have issues winning without it, and it is good whenever you draw it. Not being situational makes it fine that you have no way of finding it, because you can just use it when you get it. The longer it stays down, the better, and in some matchups it usually stays down for a while. Great single prize attacker that has gotten it’s own archetype, definitely a deck worth people’s time in the standard format. It is being played with cards that help get the hand down to zero, but let the deck continue to function. These utility Pokémon include Magcargo, Zebstrika, and Oranguru. A great draw engine, you get to see a ton of cards. However, it is pretty awkward to use at some points. Additionally, it definitely isn’t for every deck. It goes in decks that need to go fast and/or don’t mind discarding a ton of cards. A great one prize attacker in Malamar! I have included this in Psychic Malamar, Gaskan if you will. I will talk more about that deck later in the article, so lets focus on its competition, Spell Tag Malamar. Spell Tag Malamar has felt okay in my testing, but I am not convinced it is better than regular malamar. You lose out on Chimecho due to a lack of usability, which is one of my favorite parts of Malamar. Additionally, you lose the option to fight with GXs, and no longer take advantage of Moon’s Eclipse-GX. However, you do eliminate GX Pokémon from your deck completely, which is pretty nice. The deck is also very strong against other single prize decks if it can setup fast enough, which I have had a bit of trouble with. The Spell Tag version just doesn’t feel as smooth as Psychic Malamar. I originally just left this card off the list entirely, which felt kind of weird to me. Due to all the hype surrounding it, and all the potential the card has, I felt the need to talk about it. The card is great for stage two decks, making the mission of finding Rare Candy a layup. Those decks gained a lot of consistency with this inclusion, especially because you get to play Vulpix GRI too. However, the issue is that none of the stage two Pokémon are particularly strong in the meta right now. I tried a few stage two decks, mainly Vikavolt and Solgaleo, and just could not get them to win consistently. That being said, Alolan Ninetales-GX has also gotten hyped up in Buzzwole/Lycanroc-GX. I have tried both versions of Buzzwole/Lycanroc-GX, and the difference feels pretty minimal so far. I am not convinced either way on if this card should be included in Buzzroc, but this is basically the last deck I have left that has Alolan Ninetales with it. It is weird to say that because the card is pretty strong, and was hyped up a ton, but I just haven’t been winning with it. I am confident, though, that this card will see play at some point. This is the main attacker of the deck, you don’t want to have any trouble getting them out, and you want to start this Pokémon. Starting it is nice because of Blacephalon’s GX attack, which lets you discard a prize, and if it happens to be an energy, you get to attach it. Additionally, you can slow down the game a little bit by using Bursting Burn to leave the opponent’s active Burned and Confused. This attack also helps to deal chip damage, which will let you take easier knockouts. This is the energy acceleration of the deck, and how you KO anything you want with Blacephalon-GX. You want to play a thick line of it because you want to get multiple of them out, and you want to get them out as soon as possible so you can start getting energy in play. Poipole FLI is the best option because the Spit Poison attack can be helpful for setting up knockouts. This is a very straightforward supporter line, identical the original supporter lineup in Gaskan. The Lillies and Cynthias are great draw supporters, with Lillie being the optimal turn one supporter. You draw so many cards off the one Lillie that you will usually be getting an energy on Blacephalon-GX and two Poipole on turn one. This sets you up for a strong turn two, only needing Naganadels to have a great turn. Later in the game, Cynthia is definitely the better supporter a majority of the time. However, you can find yourself dumping your whole hand and wanting to draw with Lillie. Additionally, you can sit on a crucial card and then just Lillie so you can still draw some cards. While you probably won’t use four Guzma in a game, you need to make sure you find it when you need it. Playing the four copies also makes it easier to navigate around prizing them or having to discard one early. These are the Stadium options that this deck has to offer, a decent arrangement. The Heat Factory will be played in every single deck that plays a reasonable number of Fire Energy. It is not searchable, which is the only thing stopping the card from being too good. The card is almost never a bad draw, so finding it whenever is fine. Lysandre Labs is the other singleton stadium that this deck plays. The deck plays no tools, so you don’t have to worry about hurting yourself with it. It is very good for shutting down Choice Bands and, most importantly, Escape Boards. Malamar has no way to remove it, so once you get it in play, it can really help to make things awkward for them. Now for the final Stadium, Ultra Space. Ultra Space searches out almost every Pokémon in the deck, twelve out of the thirteen. It is fantastic to find early because it is the gift that keeps on giving, finding you an Ultra Beast every turn until the opponent bumps the stadium. The energy makes up almost one third of the deck, which is pretty crazy. It is necessary though, because you will be sending a lot of energy to the lost zone. Additionally, you need to get energies in your discard so that you can make use of Naganadel early and often. A great card for consistency and getting energy in the discard, but I just haven’t been having trouble with either of those things yet. If I find myself having consistency issues, I will make room for these four Acro Bikes. I would probably try removing a Fire Energy, Rescue Stretcher, Fourth Guzma, and Lysandre Labs. This card was just released in Lost Thunder and I haven’t included it in any of my lists yet, it seems like it might be an okay inclusion in this deck. This deck can accumulate rather large hands when Heat Factory makes an appearance, so you have a lot of choices for discards at that point. Sightseer allows you to hold onto crucial cards such as Guzma, while discarding useless cards such as Ultra Ball. This is also another way to get Fire Energy in the discard, which is definitely a goal of this deck. This card is great for ensuring a smooth start in games where you might not even be able to attack otherwise. With Oricorio in the deck, you will be able to find and get energy in the discard without any issues. You have a ton of other consistency stuff, but energy is what I find I am missing whenever I don’t attack on turn two. I might seem especially focused on turn two, and that is because I am. The deck needs to attack on turn two against one prize decks, and would prefer to attack turn two in every single game. This is such an insane tech in this deck, such a good inclusion. It is the key to winning some matchups, such as Zoroark decks. Additionally, it can be used to slow down games in situations where you might otherwise fall behind in the prize race. The thing about Chimecho is that yes, it can be answered, but none of the answers are good. Zoroark players mention that they can KO the Chimecho with Tapu Lele-GX, which is something they can do, but that is exactly what you want. You then get to use Marshadow-GX to copy Moon’s Eclipse-GX for two prizes, and then you’re just two Prismatic Bursts away. The Chimecho just helps you prepare for the prize race and get setup. This is one of the few disruption options in the standard format, and it fits really nicely in this deck. Despite being a Malamar deck, you don’t mind using a bench spot on this when you need to. It is the key to shutting down things like Algorithm-GX and Tempest-GX, which would otherwise allow for a great start for the opponent. Marshadow can be used going first, too, in hopes that the opponent finds a weak hand and stumbles a little bit, and then you can just start taking prizes. This is the array of single prize attackers that this deck plays. You have two Rescue Stretcher to make further use of Mimikyu or Deoxys, and Giratina is self sustaining. These single prize attackers are nice for taking early game KOs on basics, that away you avoid putting a GX Pokémon in harms way. Even more importantly, these single prize attackers are the key to handling other single prize attackers. You don’t want to be fighting single prize attackers with your GX Pokémon, it will result in a poor prize trade. I have lumped these together, despite being very different cards, because I always see people trying to lower the counts on these. I would never do this, and I strongly advise against it. The four copies of each of these makes the early game especially smooth, they are insanely important for attacking on turn two. Without Escape Board, you are pretty immobile and will have a lot of trouble attacking early. Acro Bike is not quite as necessary as the Escape Board, but they provide a bunch of extra reach, and another way to get Psychic Energy in the discard pile. This might seem like an odd card to play a singleton copy off, but it just flows well with the deck. It is another great card to find on turn one, and it can grab an attacker later in the game. You don’t really have space for more than one ball here because I like the inclusion of four Acro Bike. I also like Nest Ball much better than Friend Ball because I hate situational cards, I just want something consistent. Just another switch card for increased mobility in the early game, helpful for attacking with Chimecho, or just attacking in general on turn two. This inclusion is a very nice tech for mirror match because it gives you an out to Moon’s Eclipse-GX, in more ways than one. You can simply use a draw supporter and find the Escape Rope, forcing them to feed you a single prize. In an ideal world for them, they will be using this GX attack with no other GX Pokémon in play, so Guzma isn’t a strong enough answer sometimes. The Escape Rope can allow you to make them switch, and then you can Guzma the GX back up and KO it for two prizes. This is not a card I have really been missing, but I could see this inclusion being necessary if the meta evolves in a way where Guzma is especially important in a particularly matchup. When I had four, I felt like Guzma could clog up my hand and I never found myself using four of them in a game, even three felt rare. I haven’t had trouble finding the Guzmas, even with a lower count. A great card in the current meta. A lot of decks are reliant on having multiple bench sitters, such as Malamar or Naganadel. The Sudowoodo limits their options quite a bit, and makes you bringing up whatever you want and KOing it a much bigger deal. If these bench sitter decks start dying down in popularity, I would take this card out. This is the Ditto ♢ package! Pretty exciting, I know. It has been a lot of fun messing around with Ditto, and these techs have proven to be pretty strong in testing so far. Naganadel is more of an overall tech, allowing for a Multi Switch combo. It is also a solid single prize attacker that packs a punch when you have three prizes left, able to OHKO a GX Pokémon effortlessly. The Naganadel is also a very strong attacker against Buzzwole/Lycanroc-GX, which is a bit of a tough matchup. On the other side of things, Machoke is way more meta dependent. I will only continue to play Machoke if I expect to play against Decidueye or spread decks. Plain and simple, this is the new Brigette. Incredibly strong card in decks that don’t mind the sixty HP cap. You will setup very strong every single time you use Professor Elm’s Lecture, apparently with Zoroark decks that can just evolve and start trading. The Professor Elm’s Lecture also puts the basics into your hand, as opposed to straight onto the bench. This lets you thin your deck quite a bit later in the game, and it gives you the option to grab a couple basics without having to bench any of them. These are great for beating the single prize decks because every time you Acerola, you are completely negating the opponent’s last turn. In conjunction with this Acerola, you can also use Lycanroc-GX to bring up whatever you want to KO. These Acerola, combined with the Machoke, should present you with an autowin against spread decks, which could be sketchy otherwise. Acerola is also very strong against opposing Zoroark decks, especially ones that don’t have OHKO potential with Lycanroc-GX. This card is fantastic for making big plays, it can grab those two crucial pieces to take over the game. Last format, I thought this card was too slow and too situational, but the list and format have changed quite a bit. I think Mallow is crucial now, and I definitely think one is the correct count. More than one sounds like too many, you won’t even use Mallow every game and the list is tight. Playing zero just sounds like you are limiting your own options, so I also advise against that for now. The meta could get faster, which would likely result in the removal of this Mallow. Due to the release of Professor Elm’s Lecture, Great Ball is no longer as strong as it was in the deck previously. This lead me to put Timer Balls back in because they are such a strong follow up to a turn one Professor Elm’s Lecture. I play four of them not because I expect to use all of them, I don’t, but because I want to find them early. These are very nice for getting attacks of with Lycanroc-GX. Counter Gain is a situational card that I am unsure about, but I definitely won’t be removing Multi Switch. The Counter Gain is nice against aggresive decks, such as Buzzwole/Lycanroc-GX, because it allows you to use Dangerous Rogue-GX for just one energy. However, you won’t always find it at the right time, and you won’t always get a turn where you’re behind on prizes. As for Multi Switch, I just love this card. It has great synergy in this deck because of Lycanroc-GX, and Naganadel has brought a whole new element to the table. Just think about it, you can have a Rockruff active with no energy, and a Ditto on your bench. You can pull off a Dangerous Rogue-GX by getting out both Naganadel and Lycanroc-GX, and then using Multi Switch and attaching. This would make it easier to get out Naganadel, which is a pretty strong thing to do. 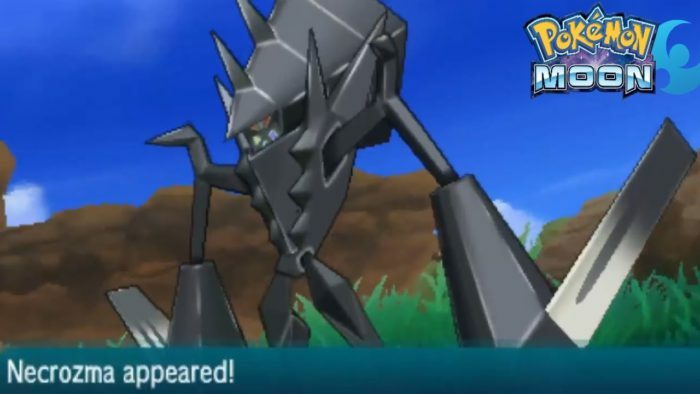 Additionally, the Naganadel is a very nice attacker against Buzzwole, and having the Poipole would help get it out. You can even get it out twice in a game, through the use of Ditto ♢. I just don’t really want to include this Poipole unless I have to, because it seems like it will be a dead card in a fair share of games. I need to gauge just how important the presence of Naganadel is. That is all for today everyone! I hope that this guide to my favorite decks has gotten you thinking about Lost Thunder. I have been putting a ton of time and effort in, and I have to say that the more established concepts have really been trooping it out. While Blacephalon is definitely a new Pokémon and deck, we have seen similar archetypes, such as Magnezone/Eelektrik succeed in the past. 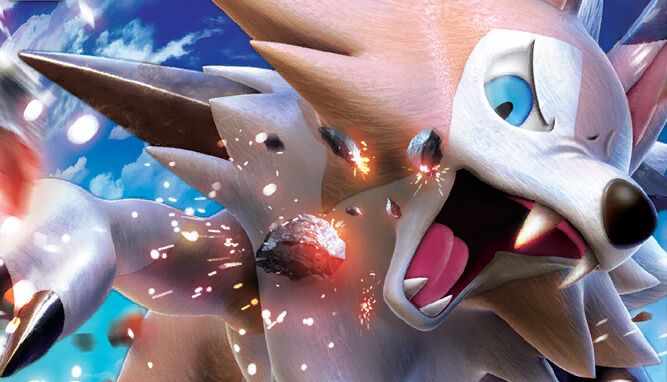 The other two decks have seen all sorts of success recently, and Zoroark-GX/Lycanroc-GX is always popping in and out of the metagame. I definitely recommend giving these decks a try, and I would just start with whichever one you’re the most comfortable with! I will be playing a ton more games before Brazil, many of which will certainly involve these decks. I am hoping to be able to play something that feels really consistent, now that the standard format has improved a little bit in that category. My next event will likely be the Latin American International Championships in Brazil, followed by the Roanoke Regional Championships shortly after. Brazil is a super important event for the top sixteen/top four cutoffs heading into Australia, and I am hoping to lock up my Travel Award with a decent finish in Brazil. While the pressure won’t be on in Roanoke, I will still try my very best so that I can get a good start towards my next stipend. If you happen to be at either of these tournaments, feel free to come up and say hi, I love talking to everyone! If you’ll be staying at home, make sure to check out the streams.